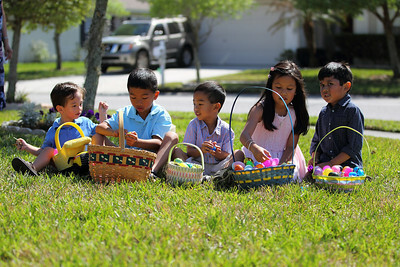 Chad Soriano PhotoBlog: Easter Egg Hunting! Eggs and more eggs filled with melted chocolate. I have to give the most improved award to my son for egg hunting. 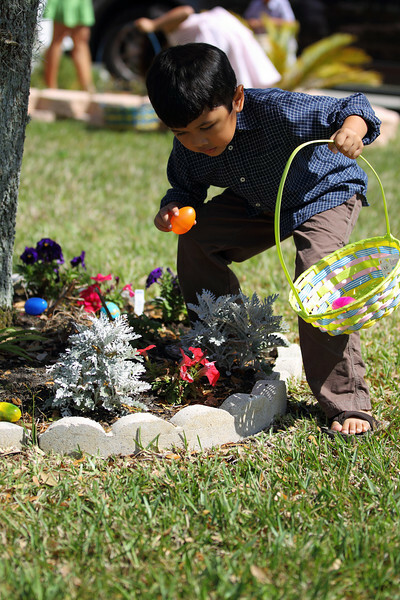 Compared to last year's egg hunt, my son gathered the candy filled plastic eggs like a jack rabbit. My daughter was a close second in her egg hording abilities. She had extensive training in her youth soccer games to run fast and hard. She probably knew it was a race against time before the spring day sun melts the chocolate gold inside the plastic treasures. The usual suspects. I am impressed the kids sat in one place for any specified amount of time. It was enough time to take this photo without too much duress. Do not count your Easter eggs before they are hatched because this post is only a preview to my next Canon EF 70-200mm f/2.8L IS II USM lens review and test. The Version II of Canon's original fast zoom workhorse will be evaluated in my next PhotoBlog post. 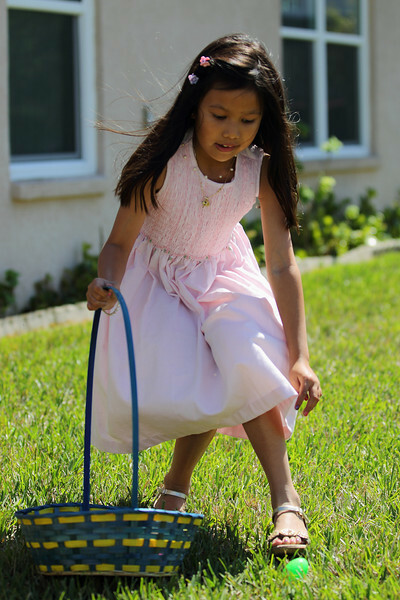 I did not shoot video from this year's egg hunt but I did last year. I assure everybody the egg frenzy was the same as last year as you can see in the video. My kids and their cousins are younger in the Canon EOS 5D Mark II video above. I was still mastering my HD video gathering skills at this point and learning the full auto exposure workarounds before the full manual exposure firmware was released. Enjoy! 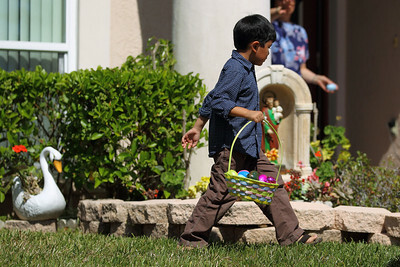 Check out more pictures of the egg hunt in my Easter 2010 Gallery.